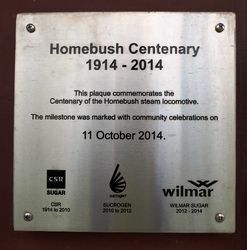 A plaque commemorates the centenary of the Homebush steam locomotive. 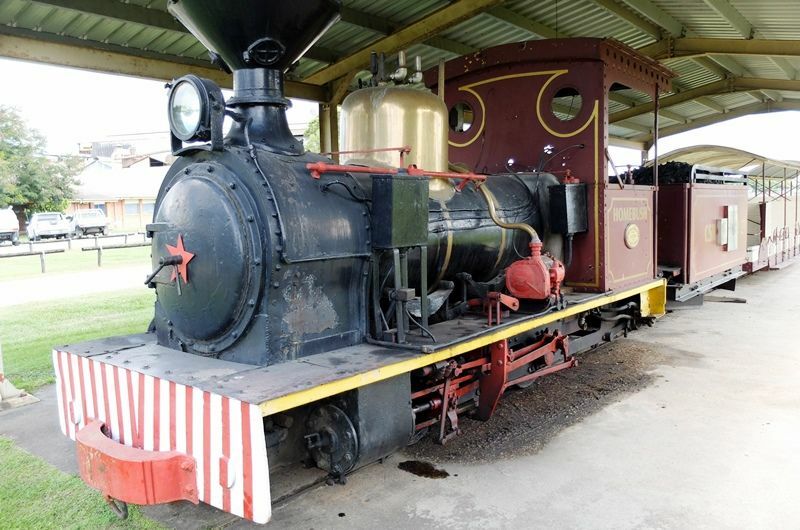 The locomotive was initially used for hauling cane at the Colonial Sugar Refining Company`s mill at Homebush, near Mackay in Queensland from 1915 to 1921. 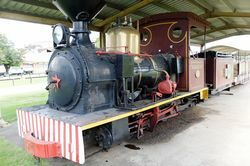 It was them used on passenger and goods freight services from Lucinda to Ingham, Stone Rover and Long Pocket from 1922 to 1932. From 1932 to 1976 it transported cane and maintenance gangs throughout the Victoria Mill areas. 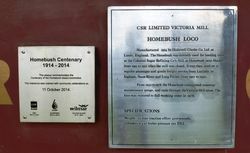 Centenary of the Homebush steam locomotive. 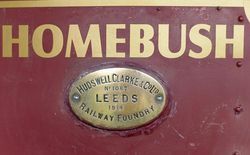 Manufactured 1914 by Hudswell Clarke Co. Ltd. at Leeds, England. 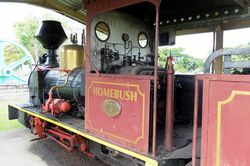 The Homebush was initially used for hauling cane at the Colonial Sugar Refining Co`s mill at Homebush,near Mackay from 1915 to 1921 when the mill was closed. It was them used on a regular passenger and goods freight service from Lucinda to Ingham, Stone Rover and Long Pocket from 1922 to 1932. From 1932 to 1976 the Homebush transported tramway maintenance gang, and cane through the Victoria Mill areas. The loco was restored to full working order in 1978. Cylinders 8 x 12 boiler pressure 160 p.s.i.